Beautiful resort set right on a lake! Floating week during odd years! Buyer may receive a title fee credit, inquire for details! 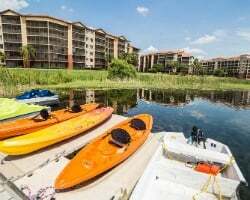 Perfect resort for enjoying the Orlando area and location attractions! Floating week every year! Inquire for details! MAINTENANCE FEES are PAID until 2021! Visit Orlando with your friends and family! Buyer may receive a title fee credit, inquire for details! Stay in Orlando for fun-filled family vacations every even year! Choose your floating week! Buyer may receive a title fee credit, inquire for details! Central location to attractions and entertainment! Odd year floating week! Inquire for more details! Ideal family friendly resort! Choose your week every other year! Buyer may receive a title fee credit, inquire for details! Spacious accommodations for the whole family! Enjoy easy access to area theme parks & much more! Perfect location close to major attractions! Floating week! Buyer may receive a title fee credit, inquire for details! 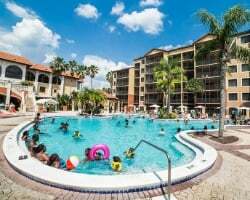 Great resort near the Orlando excitement! Even years usage in April week 14! All reasonable offers considered! Great week to enjoy the very best of this resort! Buyer receives complimentary closing credit; inquire for details! Enjoy the spectacular lakefront sunsets! Yearly usage in week 48! Buyer may receive a title fee credit; inquire for details! Spend your summer vacations in fun Orlando! Odd years in July week 27! Buyer may receive a title fee credit; inquire for details! Annual week 47! Great unit to bring family & friends! Buyer May Receive A Title Fee Credit, Inquire For Details! Plenty of room for family or friends! Yearly floating week! Price recently reduced! Make your offer today! 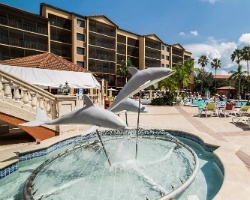 Great resort conveniently located near the theme parks! Buyer may receive a title fee credit, inquire for details! Annual September week at this family friendly retreat! 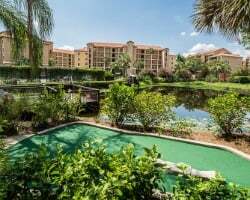 Perfect resort and location for your annual Orlando vacations! Buyer may receive a title fee credit, inquire for details! Enjoy easy access to major attractions! Buyer May Receive A Title Fee Credit, Inquire For Details! Convenient location near theme parks! Buyer May Receive A Title Fee Credit, Inquire For Details! Wonderful resort near the attractions! Even years floating week! Buyer may receive a title fee credit; inquire for details! Central location ideal for theme park lover's! Buyer May Receive A Title Fee Credit, Inquire For Details! Spacious unit with room for the whole family or bring friends! Make an offer today! Buyer may receive a title fee credit, inquire for details! Come to Florida every year and choose your dates! Buyer May Receive A Title Fee Credit, Inquire For Details! Ideal location to enjoy major theme parks! Buyer May Receive A Title Fee Credit, Inquire For Details! Upon successful closing, seller is offering Four (4) 1- day passes to any Disney Park.Buyer May Receive A Title Fee Credit, Inquire For Details!